Remember the Scarsdale diet? How about Metracal, Slimfast and Slender. These were the fads of the sixties and seventies. New plans arrive on the scene regularly because of the tremendous profit potential. Most of them fail because they are touted as a simple, effortless way to lose or control weight. Weight Watchers, created in 1961, is one that survived and is successful. WW emphasizes attention to eating habits rather than to a particular diet, and the importance of support. We are going to discuss the relationship of eating habits to total wellness. Be prepared for a lot of common sense. The internet and TV have taught you more than you ever wanted to know about what's good and what's not so good for your system. You probably don't need a structured, written diet in order to do the right thing. Look at the food in front of you. Do you think it's good for you, just OK, or bad for you? Here's an example. I'm going to list five things I really like. Spaghetti and meatballs, Cheesecake, Grilled salmon, Tossed green salad, Biscuits and gravy. Now, without doing any research, I will list them in order of bad to good according to how I see them. 1 is good, 3 is just OK and 5 is bad. This may not be perfectly accurate according to all the calorie and nutrition tables, but it's the way I see it. What now? I can have a number 1 every day, a 2 twice a week,a 3 once a week, a 4 two or three times a month, and a 5 once a month. You can see that the two worst ones are loaded with fats. You don't have to eliminate anything entirely if you use moderation and common sense. The next time you sit down to a meal, analyze each item, make notes if you want to. Is what you are eating going to increase cholesterol levels? Are you getting enough dietary fiber? Eventually this practice could change your eating habits. Don't I have to count calories? If you are trying to lose weight, or even just control your weight, you should be aware of the caloric value of what you are eating. What's probably of more value is the source of those calories. 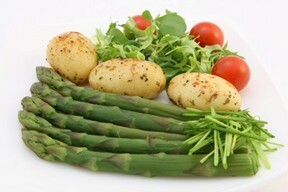 Fats, carbohydrates and proteins are sources of energy. We should have some understanding of how they are metabolized, stored or consumed by the body. Making sure we get real nutrition and enough of the right vitamins is also important. Nutrition information to make people notice the real you! My journey into the world of cholesterol lowering drugs, and it's effects on my body. How I safely lowered my cholesterol and became healthier. You can do the same.